Saginaw Survivors of Suicide's mission is to prevent suicide. Let's help them! The work of Barb Smith and Saginaw Survivors of Suicide is helping prevent suicide and bringing hope and healing to survivors of suicide loss—so important to me after losing my father to suicide. Let's work together to help the Saginaw Survivors of Suicide. Order an autographed paperback HERE or a regular paperback at Amazon or Chapters (Canada), an e-book at Barnes & Noble, iBooks (Apple), Chapters (Canada), and Kindle. Among the 50 authors includes James Lecesne, Academy Award winning founder of the Trevor Project; and Glee actress Ali Stroker. Kevin Hines wrote the foreword. "Very nice piece. It introduces pain of loss but with the hope that lives can be saved." "Each story pulled at my heart and inspired me to live a fuller and more purpose driven life. 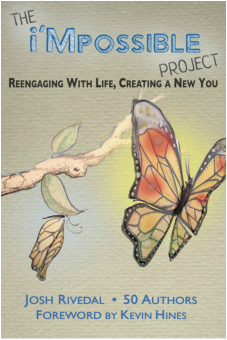 I would recommend this book as a daily source of courage, inspiration and hope." - Carol Graham, wife of Major General Mark Graham who lost one son to the war in Iraq and the other to suicide.